Perhaps the most striking thing about the latest round of LaLiga fixtures is the Barcelona team we saw in Huesca. It was unrecognisable (and I'm not just talking about that salmon-pink change kit). The line-up Ernesto Valverde sent out was, to say the least, much-changed. With the LaLiga title in the bag and a Champions League quarter-final second leg coming up, it's no surprise that Barça's coach sought to rest his stars. When I got into football in the 1960s, I saw Real Madrid do so on occasion nearly every year. What caught the eye, though, was the steep drop in quality that came with Barça's second string, in terms of personnel (a good few were far from household names) and performance (they were really quite poor). I couldn't help remembering Madrid's 'plan B' of two seasons ago, the last time they won LaLiga. That was a team with plenty about it, it's fair to say: Pepe at centre-back, James Rodríguez pulling the strings and Álvaro Morata up top, not to mention effective, experienced back-ups like Danilo, and prospects with a point to prove such as Marco Asensio. 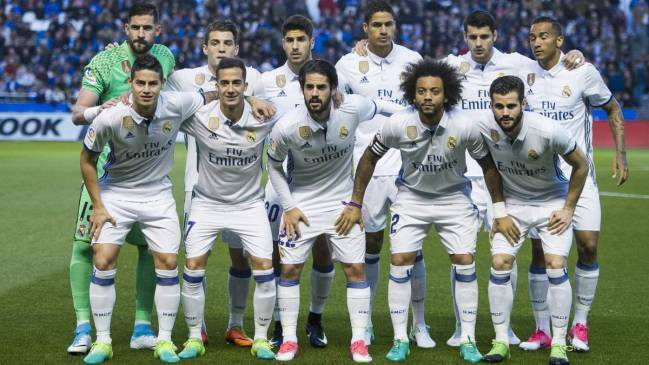 Like their arch rivals, Los Blancos' second XI is also remarkably little to write home about these days, because they laid waste to that 2016/17 side by selling most of it off. While they were at it, of course, they also damaged their regular team by flogging Cristiano Ronaldo and failing to bring in a proper replacement. All because of that tin of sardines they're building. Barcelona's case is somewhat different. They haven't sold Lionel Messi - he remains the focal point of everything they do - and have even dug deep to fill the Neymar void with big earners who, in turn, have forced the club to up the wages of the major squad members who are already there. As a result, their first-choice group of players is so expensive that it's hard to avoid such a gulf in class between them and, as we witnessed at Huesca, those further down the pecking order. The market value of top players has rocketed to such an extent that savings have to be made on the reserves. These days, a superstar costs as much as 10 mid-range signings. That explains the side that lined up at El Alcoraz.